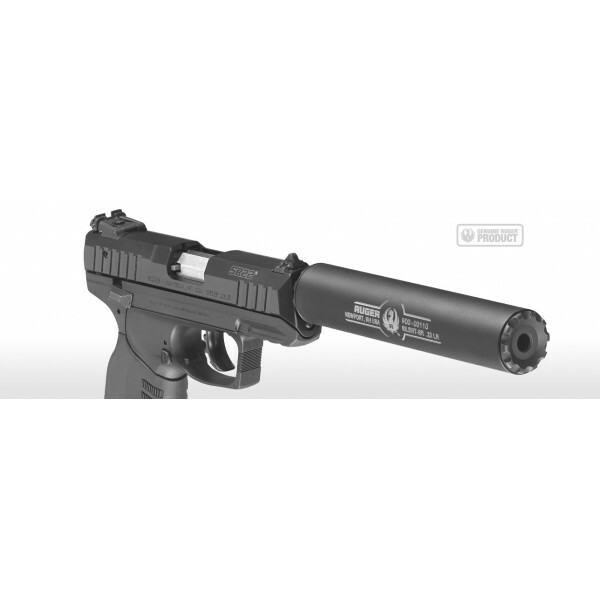 The Ruger Silent-SR Is Designed For Use With Firearms Chambered in 22LR, 22WMR & 17HMR With 1/2" - 28 Threaded Barrel. In order to purchase a Silent-SR™, you must be at least 21 years of age, a resident of the United States residing in a state that allows civilian ownership of suppressors, and be legally eligible to purchase a firearm. The American Suppressor Association often has information about state-by-state suppressor laws Learn More. You should always independently verify the accuracy of the information you find online. To purchase your Silent-SR™, you must submit all or some of the following Forms and information to ATF, depending upon your method of purchase: ATF Form 4 (in duplicate); a check or money order in the amount of $200 for the transfer tax; and either passport photos and fingerprints (if you are purchasing as an individual), or trust documents or LLC articles of incorporation (if you are purchasing the suppressor through a trust or LLC). Once ATF has approved your Form 4 and returned it to your local retailer, your retailer can transfer the Silent-SR™ to you. Please note that there is frequently a significant delay (typically, several months) associated with the approval of a Form 4. ATF publishes a list of current wait times, which is updated quarterly.